"I heard poorly rated @Morning_Joespeaks badly of me (don't watch anymore). Then how come low I.Q. Crazy Mika, along with Psycho Joe, came... to Mar-a-Lago 3 nights in a row around New Year's Eve, and insisted on joining me. She was bleeding badly from a face-lift. I said no!" 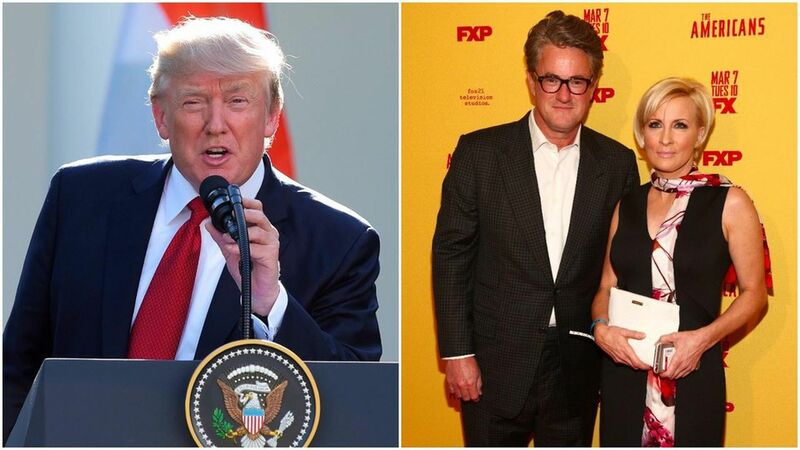 Flashback: When Joe and Mika broke the news of their engagement in a Vanity Fair interview last month, they revealed that Trump — over lunch with the couple, as well as Ivanka and Jared Kushner — offered to officiate their wedding, and recommended they hold the ceremony at Mar-a-Lago or the White House. Mika told Vanity Fair, "If it weren't Trump, it might be something to think about."